Description: Illustrated children's story. 28 pages. 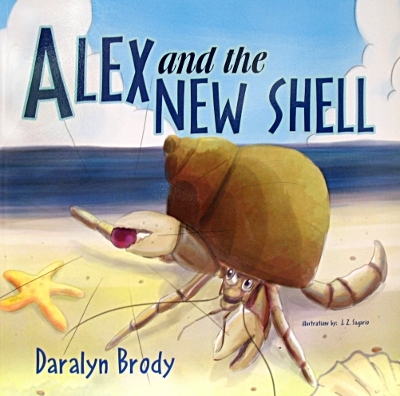 Alex, a hermit crab, has outgrown his shell and needs to find a new, bigger one somewhere in the ocean. When a storm develops, Alex gets bumped against an oyster, accidentally knocking out its pearl which Alex then needs to find and return to its owner. Along the way, he meets new friends who help him in his adventures. Will he find the runaway pearl? Can he find a perfect new shell-home? Viewed: 2,777 times since March 21, 2012.